Cloud City - Lamplighter Brewing Co.
A pillowy NE-Style IPA brewed with Strata, a new-to-market, fruit forward hop variety. 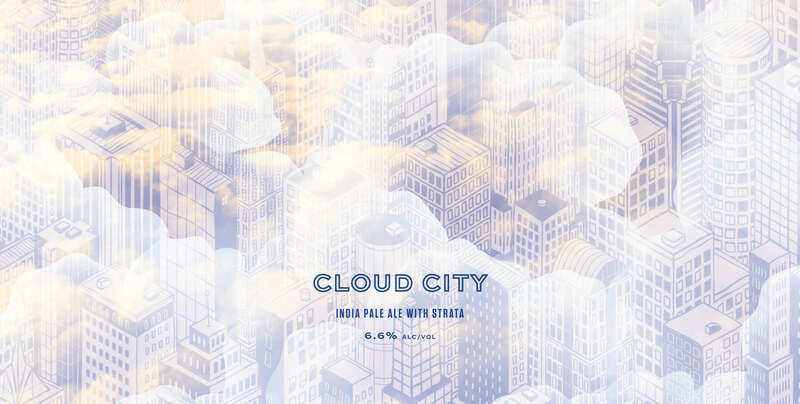 Cloud City is a New England-style IPA hopped 100% with Strata®, an Oregon-grown variety sourced through Crosby Hop Farm. On the nose, intense aromas of melon and guava accompany notes of bright citrus, producing an alluring tropical bouquet that gives way to a thick and pillowy body. Well balanced, the fruit-forward flavors of this ale are tempered by a light and lingering bitterness. Named after the floating metropolis featured in Star Wars.